The chemistry area consists of ways using chemicals in the liquid phase, security therefore plays a key role. 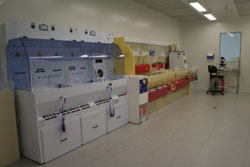 It has 14 workstations with air extraction and equiped with deionized water supply, spread over 32 m2 in class 100. 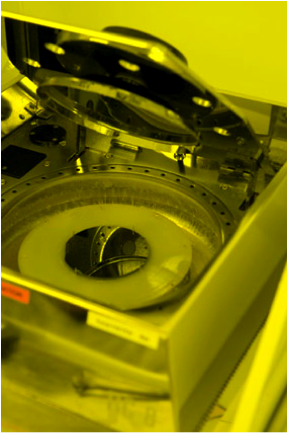 It brings glass, agitators, magnetic agitators, heated or not, hot plates, tanks to ultrasound, regulated heating tanks and spin dryers. It also has an optical microscope. 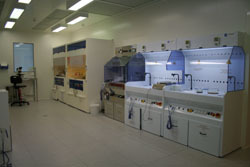 The chemistry area is controlled free access: anyone wishing to work there must be aware of the risks presented by the handling of dangerous chemicals (concentrated mineral acids, strong oxidizers, solvents, toxic products) and the measures to be taken to avoid contamination of the various technologies that intersect. 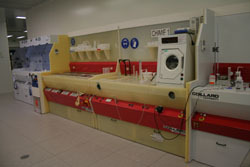 All equipment of the chemistry area is free service.